How does Alexa Rank their websites? Alexa gives a measure of your site’s popularity in comparison to other websites. Alexa ranking is based on a browser extension or plugin installed to your website. This panel will collect data about your browsing behaviour from all internet users and will make use of it to give an estimate of the visitors to your internet sites. The ranking is relative to your traffic but will change depending on other websites traffic growth. 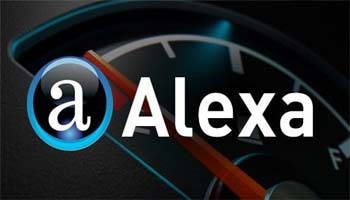 The traffic ranks on Alex are updated on a daily basis and the ranking is determined on a combined measure of unique visitors and page views. From information gathered from the last three months, Alexa determines the site that will be ranked first and so on. If a website has not been visited in the period, no rank is given to the website. The least ranked website gets a ranking of about 30 million. What are the advantages of having Alexa Ranking? The information and matrix gained from Alexa ranking will be used in analysing your SEO results and knowing how to make them better. Is Alexa Rank accurate enough? Not all webmasters make use of Alexa data panel and this being so, the results gained from the analytics will not be accurate enough and will not give a true reflection of the website’s position. Alexa gives you site analytics known as certified site metrics which gives data directly measured from your site and is not estimated. This is similar to Google analytics but this is something less powerful. How can you use Alexa ranking data?